Details: The project is coming up at E M Bypass, Kolkata East spread across 1.50 acre of land. It offers 2 towers with stlit+11 floors, having 2 & 3 BHK apartments. 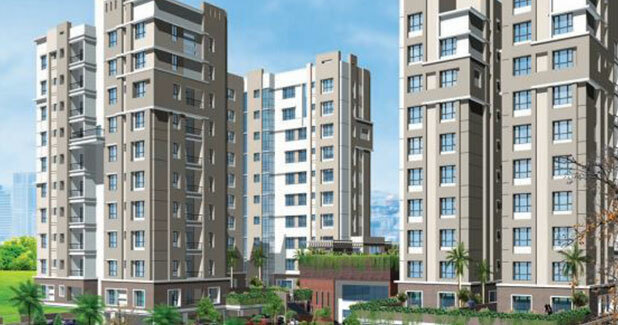 Apart from basic amenities, the project offers high speed lifts, earthquake resistant, water softener plant, wi-fi connectivity, Badminton Court, jogging track, banquet hall, rain water harvesting, etc.